While my office does not control the overall tax burden, we are responsible for making sure that property owners pay only their fair share of the property tax burden. It is always the goal of my office to assess all properties fairly and equitably. That means we must properly identify the physical characteristics of each property, accurately value each property, and finally, be sure each property assessment is neither higher nor lower than assessments of similar properties in your neighborhood. If, after reviewing your property record card, and after speaking with one of our Deputy Assessors, you still feel your property is over assessed or unfairly assessed, you have the right to appeal the assessment to a higher authority. Please know that we are not offended if you disagree with our valuation of your property, however, your disagreement must be based on evidence to support your opinion of value. Some property owners just "feel" that the value is too high. This is not the basis for an appeal. 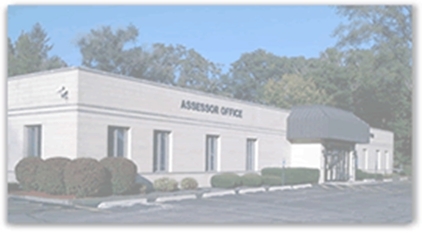 You should check sales and assessments of similar properties in your area before filing an appeal..
We are very proud of our assessment accuracy in Bloomingdale Township. There are few appeals filed (only 509 residential appeals last year out of 35,761 residential parcels). However, the appeal process does exist for property owners to use when they disagree with the Assessor's valuation, and every property owner should be aware of how the process works. The following page is an explanation of the appeal process.